“Crested Butte is the only ski town that has bigger revenues in the summer than the winter. I don’t think that summer is so strong—it’s because winter has been so weak,” Norton said. Norton said he had heard at the recent Crested Butte economic assessment community focus groups that ski town revenues are "always higher during the summer than the winter." Norton said he questioned the statement and found it is true only for Crested Butte, not other similar ski towns. Norton reported that Telluride receives $4 million annually from sales tax, while Crested Butte has budgeted less than $1 million in revenues for 2008. “Skiers spend money, and the reason sales tax is greater in the winter (for Telluride) rather than the summer is because there are more skiers and they buy more than summer guests,” Norton explained. Plans to expand the ski area onto the 11,145-foot-high Snodgrass Mountain, adjacent to Mt. Crested Butte, have come and gone for more than two decades. In 1982, the Forest Service approved a CBMR proposal to develop Snodgrass to increase more intermediate skier terrain. However, the plans fell short when the resort was unable to move ahead due to financial trouble. In 1994, the resort forwarded its second request to expand onto Snodgrass, but CBMR put the project on the “back burner,” citing community opposition and other factors. In 2005, plans for Snodgrass resurfaced, as the resort, under new ownership, submitted a new proposal to the Forest Service. The geological hazard report released by the Forest Service in 2006 said landslides and slope movements on Snodgrass Mountain were the main concerns that development of the mountain would pose. CBMR disputed the claims and hired consultant Jim McCalpin to conduct an independent geological study of the mountain. Earlier this year in April, Norton appeared before the Crested Butte Town Council to give an update on the progress of the resort’s plans for Snodgrass. The Friends of Snodgrass Mountain, a local non-profit group that has vocally opposed the resort’s plans to develop, then gave a counter-point presentation to the Town Council on Monday, September 10. Monday’s presentation was in rebuttal of the Friends of Snodgrass presentation. Town Council member Skip Berkshire reiterated that the session was purely informational and public input would be solicited only if there was time after the presentation. Norton started his presentation by asking the Crested Butte Town Council candidates to “reconsider the idea of expansion onto Snodgrass.” Norton said it appeared to him that the candidates had made up their minds about the issue, based on their responses printed in the Crested Butte News. “I invite you to get involved beyond the town’s boundaries," Norton suggested to the candidates. Norton said he felt the Friends for Snodgrass presentation did not address Crested Butte’s economic situation. “We really can sink or swim together—it’s very difficult for one town to have boom or bust and not the other,” Norton said. Norton reported the resort’s performance and the community’s economy are interrelated and both have experienced the impact of fewer skiers on the mountain. Norton reported that CBMR has experienced fewer skier days than the state average for the past ten years, while Colorado experienced record years during the same time. Norton, comparing Crested Butte to neighboring ski resort town Telluride, said in the mid-1980s Crested Butte had an average of 300,00 skier days, while Telluride had only 175,000 skier days. “Telluride was going nowhere at the time, and 10 years ago Crested Butte was bigger than Telluride and now they are bigger than us,” Norton said of the other town’s current success. Norton claimed Telluride’s increased success was linked to its expansion and the amount of intermediate terrain offered at the resort. According to a 2002 Colorado Ski County USA study Crested Butte ranks fifth from the bottom for intermediate terrain. Intermediate terrain was defined in the study as anything except double black diamond runs. Crested Butte provides less terrain than Eldora and slightly more than Monarch Ski Area. Norton said Crested Butte cannot compete with destination resorts that have up to 3,000 to 7,000 acres of intermediate terrain. 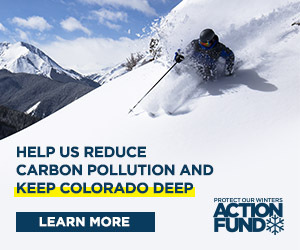 “The ski resort has performed more poorly than any other ski resort in Colorado because of the dearth of intermediate terrain,” Norton said. Tim Mueller, co-owner of CBMR, explained the success the company’s other two resorts—Okemo, Vermont and Mount Sunapee, New Hampshire—was also linked to the amount of intermediate terrain offered. Both resorts cater to the intermediate skier, which Mueller argued is the average type of skier. Mueller said when he and his wife, Diane, purchased Okemo it posted 90,000 to 100,000 skier days, had only three service lifts, and lacked adequate lodging, but now the resort was a destination weekend resort posting 200,000 to 500,000 skier days. Mueller also reported growth and expansion helped with the development of Mount Sunapee—in four years, skier visits increased from 109,000 to 270,000. “The reason that happened was because of the expansion that took place,” Mueller explained. CBMR’s new chief marketing officer, Ken Stone, who came from Telluride, also mentioned that intermediate terrain plays a role in a resort’s success. Stone said expansion at Telluride helped the resort increase its Colorado market share and insulated it from bad snow seasons. Despite Telluride’s experience, the Friends of Snodgrass argued in their presentation that most ski resorts in Colorado that expanded did not necessary improve skier days. Stone, however, said skier days alone are not the “best” indicator of success of expansion. Mueller agreed and said most ski resorts expand for different reasons and not only for increasing skier days. Rather, the resorts aim to decrease the density on the mountain, decrease the lift lines, and improve the skiers’ experience. “We don’t have that problem in Crested Butte,” Mueller added. Travel to and from the area has also become a concern, Norton said, with both American and United airlines cutting back service this winter. United Express will have only two flights per day from Denver this winter, while American has cut back to one flight per day from Dallas. Norton pointed there will be fewer flights this winter than in 1985. “The airline people said we will give you more airline service when there is demand for service,” Norton said. Morgan also said the effects on the community were going to come from the North Village development—not expansion on Snodgrass—and argued, “Why not receive revenue along with the impacts?” Morgan noted CBMR is the largest business in the Town of Mt. Crested Butte. “I would like to see us utilize our resources to maximize our revenues,” Morgan said. Crested Butte Town Council member Ron Chlipala said he would rather not comment on the presentation, as he anticipated more interactions in the future, but said sales tax revenue is of concern and noted sales tax “comes with people,” indicating tourism brings dollars into the community. Berkshire asked where CBMR was in terms of submitting their plans to the Forest Service. Norton said the final geology report by McCalpin would be completed by November 15 and then would be submitted along with the original Forest Service report to the United States Geological Survey, which would provide a final review by January. The plan of operation would then be submitted to the Forest Service and the NEPA processes would begin. Prior to NEPA process, CBMR will host a community meeting on the plan. CBMR would also start the county permitting process at the same time. NEPA is the National Environmental Policy Act, which analyzes environmental impacts of major projects. “The debate on the geology of Snodgrass is coming to an end… We don’t have any concerns about endangering life, run-off, causing earth-flows, etc.,” Norton said. “More is known about the geology of Snodgrass than any other mountain,” he added. CBMR’s plan includes three major lifts and three surface lifts, which would access intermediate to lower intermediate terrain with limited lift access to expert terrain, however, the plan could change, Norton said. Berkshire once again expressed his frustration with the debate over development on Snodgrass and said presentations and counter-presentations were not “beneficial for the community.” He said he was worried the issue could become the “the stake in the heart” for the community. Crested Butte resident Michele Simpson, the only person in the audience of 50 allowed to ask a question, said development on Snodgrass was “obviously a controversial issue,” and asked Norton when CBMR planned to host a public forum on the issue during which residents could ask questions and provide feedback.